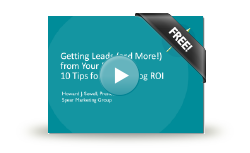 In this recorded Slidecast, Spear president Howard J. Sewell offers 10 proven techniques for how to generate real, measurable results from your corporate blog. The days of using blogs just to propagate thought leadership and corporate PR are over. In under 20 minutes, discover tips, ideas, and strategies for turning your blog into a powerful demand generation engine. 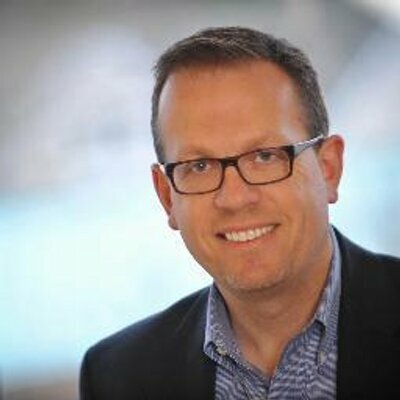 Howard J. Sewell is president of Spear Marketing Group and a 20-year B2B marketing veteran. He writes on demand generation, lead management, social media, and B2B marketing for Spear's blog "The Point". To receive monthly tips, strategies and information on upcoming events about demand generation, event marketing, and more, be sure to subscribe to The Point by checking the box where indicated. Pellentesque habitant morbi tristique senectus et netus et malesuada fames autc turpis egesta ras ullamcorper diam massa, vitae elementum lacus finibus ut. *As a subscriber, you'll receive a monthly email with the latest posts from our blog, including new demand generation ideas, strategies, tips, and techniques. Your email address will not be sold or rented for any reason and you can unsubscribe at any time.